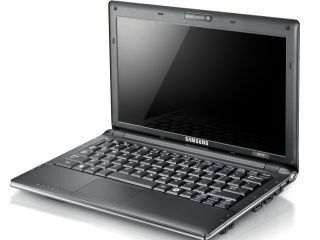 Other Windows 7 versions also coming to "small notebooks"
The line between netbooks and laptops will continue to blur. That's according to Leila Martine, head of the Windows consumer division at Microsoft UK. She also predicts that it won't be long before netbook-spec'd machines get preloaded with Windows 7 Home Premium instead of the de facto Starter Edition, although "from a Microsoft perspective, we're starting to use netbook [terminology] less and small notebook PCs more," Martine explains. Martine was interviewed by TechRadar in the wake of the launch of Windows 7, where she said that thin and light laptops such as the Sony X-Series "blur the line about what exactly is a netbook". "[Not long ago] we would have these debates about whether these would be MID devices or PCs? Where would they be ranged?" asks Martine. "Where we're at today is that 10 inches has become the absolute standard. Consumers see them as small notebooks. It's been fascinating... in the middle of a recession [for netbooks] to be driving PC growth in a period that we probably would have seen a decline." Martine adds that there is definitely fragmentation in the market between those who want to use a netbook as a second PC and those who want to use it as their main machine. "On the netbooks the price point didn't end up collapsing," says Martine. Where will the netbook market go? "[People were asking] will they go to £100, almost disposable devices? Samsung's price points for their best selling ranges are like £319 – the prices are actually going up, people are not really looking for the cheapest, they're looking for a specific function in mind. "So here's the most interesting thing – we've got a whole group of people who want to buy in the £319-329 price point. And these are the second PC people." So Martine believes that the market will go in two directions. "We're going to see increasingly a split. For second PC purchasers, Windows 7 Starter Edition is probably fine if it's just [for] web surfing. [But also what] we'll start to see is more manufacturers and retailers starting to put [Home] Premium or even Ultimate on small notebook PCs. But there is a price premium [for that]," she explains. Samsung's UK Laptop and Netbook Product Manager Daniel Hill believes that Windows 7 Home Premium will most likely emerge, but says that Starter Edition is the choice for now. "We're certainly open to the possibility. At the moment Starter is the OS that's best suited to netbooks, but I wouldn't say never." "It'll be consumer-led," argues Hill's colleague, Product Manager Daniel Lenan. "If the consumers ask for it, the industry will respond. If DSG [the parent group of PC World and Currys] start asking all the manufacturers to [put it on there] – they're the bellweather for the market." Tony Alderson, Product Manager for Toshiba's Computer Systems Division agrees with this. "It could happen [but] unfortunately if you put on other versions of Windows 7 it will cost more money as you might imagine [so] it's not the right thing to do at the moment we feel." "I think depending on what you want to do, Starter Edition is fine," says Martine. "We'll start to see a number of things in the market – the continuation of netbooks, but we'll start to see more thin and lights come in." And in terms of netbooks being available for £349, Martine believes that consumers are starting to be more choosy and realise they can buy "a notebook with a bigger screen and more power for £20 more. We'll start to see people making trade-offs that are going to be more choice-based, up to the blurring of the netbook range right up to [thin and lights]."